Sennheiser is well know for their high quality audio products and also has quite a few Lync qualified devices. Mostly headsets, but there are also two qualified USB speakerphones, the SP 10 ML and SP 20 ML. The difference between the two versions is that the SP 20 also has a jack cable, very convenient if you want to connect it to your mobile device for conference calls or for listening to music. You can actually use the USB and jack connection at the same time. 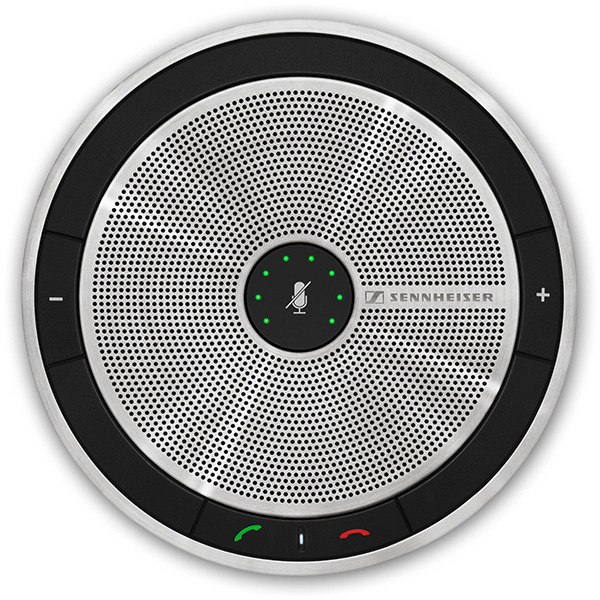 That makes it possible to have a call on your cell phone while starting a conference call on Lync. The SP 20 will mix both signals, so everyone in the Lync call can also hear the caller on your cell phone. There is no bluetooth connection. Personally I think that is fine, a cable is easier to connect, and the audio quality is better with a cable (and best with USB). The SP 20 has a stylish, Danish, design with practical integrated cable management. It comes with a good fitting pouch. The call control and volume buttons are well placed, and are in accordance with the overall high quality build. The microphone has a good 360 degree coverage, which results in a good audio quality on the receiving end of the conference. It can be disabled (by pressing mute) if you want to listen to music. 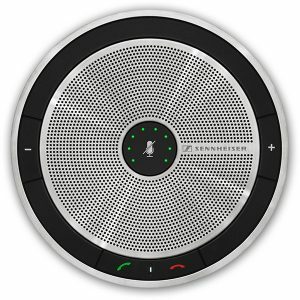 The speaker produces an excellent audio quality for both conference calls and for listening to music, with plenty of volume. I was actually surprised by how well music sounds. It produces a very warm, full sound. Very different from a lot of other speakerphones and built-in laptop speakers. 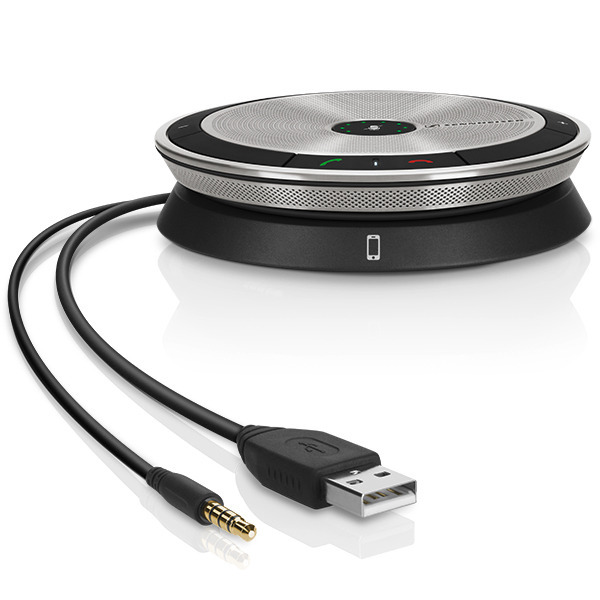 The Sennheiser SP 20 ML is an excellent, well designed, Lync speakerphone. 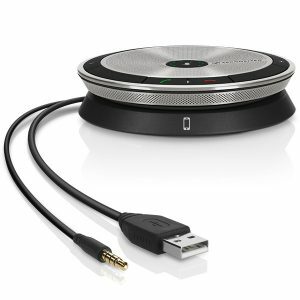 It is a great travel companion for both Lync calls and for listening to music. The FAQ has some great tips for using the SP 20 M.